What is next for Finland? The status alone does not reveal much about the substance or nature of the Finnish security and defence policy line, however. In fact, and crucially, Finnish security and defence policy has changed substantially over the last few years, although the official description has remained intact. It is somewhat doubtful whether the scope of the change is understood in Finland, let alone internationally. Hence, it is important to spell out the change, which is precisely what this briefing paper aims to do. The paper will take stock of the recent development that has taken place in Finnish defence policy, namely in international defence cooperation, which, in fact, is a relatively new track in Finnish security policy. The analysis argues that defence cooperation has recently become the most important driver of Finnish external affairs, while the intensification of the different forms of cooperation has further accelerated the waning of non-alignment. As a security policy actor, Finland has become much more mainstream. Furthermore, the briefing paper homes in on the existing cooperation arrangements. 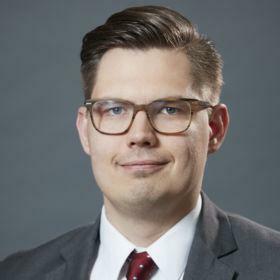 It asserts that the paradigm of Finnish-North Atlantic Treaty Organization (NATO) cooperation has shifted from crisis management to supporting Finnish and NATO defence capabilities, and that Finland’s line towards the EU’s Common Security and Defence Policy (CSDP) has also changed somewhat. On the bilateral front, Finland and Sweden have gravitated closer towards each other by carrying out the ambitious guidelines set almost three years ago. Moreover, the analysis points out that, politically, Finland has moved closer to the United States (US), which is a strong strategic signal amplified by the exacerbated security situation. Lastly, the paper suggests that Finland should continue pursuing the defence cooperation line. A logical continuation of the recent developments would be hosting a multinational military exercise in which Finland rehearsed the defence of its territory together with its partners. Given the prominent role of defence cooperation in Finnish security and defence policy, it is easy to overlook the fact that extensive cooperation in defence, apart from peacekeeping, is a recent phenomenon. In fact, less than a quarter of a century ago, foreign policy constituted the core of Finnish external action. Today, defence cooperation is the most important driving force behind Finnish foreign affairs, and a platform for launching substantive new initiatives. One should not overestimate the importance of defence cooperation for Finland’s military prowess. Its political significance is nonetheless high. Finland has taken further steps to integrate itself into the Western security system. This integration has been intensified by deepening existing defence partnerships and introducing new ones. For instance, the Enhanced Opportunities Partnership (EOP) with NATO and extended defence cooperation with Sweden and the US all exemplify the transformation. At the same time, the relevance of military non-alignment as a cornerstone of Finnish security and defence policy has diminished, a longer process which has, in fact, spanned the last three decades. The major trend of Finnish post-Cold War security policy has thus been the gradual waning of non-alignment, a trajectory which has been intensified by international defence cooperation. Finland has systematically de-institutionalized – or divested itself of – non-alignment and the political and legal limitations it entailed. The most recent example of this development was the passing of the amendment enabling the provision of military assistance by combat forces – a legislative change long overdue given the obligations of the Lisbon Treaty. One could therefore argue that when non-alignment has hindered Finland’s activity, it has always been ready to get rid of legal impediments. The transformation has not only been legal, it has also been political, reflecting the change that has taken place in the ways of thinking. For example, references to non-alignment have all but disappeared from President Sauli Niinistö’s speeches – the foremost articulations of the Finnish security policy line. Instead of underscoring its non-alignment, Finland openly signals that if push comes to shove, it wants to be an actor worth cooperating with. What makes Finland an interesting partner is, apparently, its territorial defence capabilities. Finland indeed swam against the tide during the first two decades following the end of the Cold War, and did not wind up its conscription-based territorial defence system. In the current security environment, this would appear to be an obvious asset. The paradigm of Finnish-NATO cooperation has changed considerably. Finland joined the Partnership for Peace programme in 1994 and, for almost 20 years, the partnership mostly revolved around crisis management. However, due to changes in US policies and in response to rising tensions in European security, the era of out-of-area operations ended and NATO’s focus began to shift back to its traditional task: collective defence. Contrary to what was feared,3 Finland’s partnership did not lose relevance but was reoriented towards supporting the country’s national defence and NATO collective defence efforts. In fact, the partnership became more robust than previously. This represented a major change in Finnish-NATO cooperation; for Helsinki, the primary thrust for NATO cooperation was no longer crisis management but hedging against possible threats emanating from the newly deteriorated European security landscape. In other words, from the Finnish point of view, the centre of gravity of the relationship moved towards supporting Finnish national defence capabilities. In NATO’s 2014 landmark summit in Wales, Finland was among the five partner nations that the alliance identified as Enhanced Opportunities Partners. In practice, the elevation entailed a bigger role for the partners in various NATO activities. For Finland, NATO exercises are of the utmost importance, and a concrete means of enhancing national defence. The EOP status has enabled Finland’s early involvement in planning NATO’s major exercises such as high visibility Trident Junctures – the next one taking place in Norway in autumn 2018. Moreover, Finland and Sweden were the only partner nations that participated in NATO’s annual Crisis Management Exercise in 2016 and 2017, in which the Alliance rehearsed its political-military decision-making in a fictitious Article 4 and Article 5 crisis scenario. Political dialogue between NATO and Finland has also increased. At the 2016 Warsaw Summit, Finland and Sweden attended the dinner for NATO members’ heads of state. Finland regularly exchanges information on Ballistic Missile defence and, additionally, conducts joint assessments on the Baltic Sea security situation. From NATO’s point of view, Finland has become more important, given its location in the potentially volatile Baltic Sea region. Finland’s ability to control its territory and its willingness to provide logistical support are crucial for NATO should a military conflict take place in the Baltic Sea area. Moreover, Finland’s and Sweden’s combined military capabilities are significant and something that cannot simply be excluded from regional security deliberations. Correspondingly, Finland commends NATO’s – and the US’s – stabilising role in and around the Baltic Sea. This is a clear deviation from the old policy line, in which Finland was critical of NATO enlargement and (great power) military presence in Northeastern Europe.5 Helsinki sees NATO’s presence as vital for the stability of the region, and it no longer views the Baltic states’ decision to join the Atlantic Alliance in a negative light. After its accession to the European Union, Finland, with Sweden, actively pushed the nascent CSDP towards crisis management. The underlying motive for the policy was the enshrinement of military non-alignment. The doctrine still drove the policies of both Helsinki and Stockholm, which were wary of the idea of common European defence. When the EU constitutional treaty – which eventually came into force as the Lisbon Treaty – was negotiated, the countries were lukewarm towards the prospect of the mutual defence clause entailing any automaticity regarding the provision of assistance in a military form. Fast forward to 2017 and the situation looks quite different, especially in terms of Finland’s policy line. The CSDP has gained momentum of late and the EU is, for example, about to activate the Permanent Structured Cooperation (PESCO), which is primarily intended to bolster defence capabilities, invest in shared projects, and increase operational readiness of member state’s armed forces. This time, however, it is Finland that is invoking the principle that the EU is also a security community. In its security policy parlance, Finland underscores the importance of the Lisbon Treaty’s defence and solidarity clauses. Helsinki would also love to see the EU taking more of a role with regard to enhancing joint military capabilities and even contributing to territorial defence. In fact, Finland strongly advocated the member states’ inclusion of a reference to the Lisbon Treaty’s defence commitments in the EU global strategy and the PESCO notification. The policy change is in line with the aforementioned development in which Finland has incrementally divested itself of its military non-alignment. The idea of the EU as a security and defence community is currently something that Finland holds dear. It is likely that Helsinki will keep underlining the importance of Lisbon Treaty clauses and will be an active stakeholder in PESCO. However, the actual bearing of the EU initiatives on Finnish territorial defence capabilities will probably remain limited because NATO will remain the cornerstone of European defence for the majority of the EU member states and, thus, the EU’s focus will be elsewhere. Another major change in Finnish security and defence policy is the ever-growing web of bilateral defence partnerships. The stated purpose of (bilateral) defence cooperation is to enhance the credibility of deterrence. This reinforcement can happen through common exercises and cooperation on capabilities. However, there is another more fundamental reason behind the activity. According to the Government’s defence white paper, defence cooperation “improves the chances of receiving political and military assistance when needed”.6 Currently, Finland is investing energy and political capital in making sure that it will not be left isolated in the event of a military confrontation. The most ambitious document is, however, the Final Report on deepened defence cooperation between Sweden and Finland, signed by the respective countries’ armed forces. In essence, there is nothing new in the two Nordic nations cooperating closely. In defence and security matters, however, collaboration has not been that extensive thus far. Outside of peacekeeping, Finland and Sweden hardly had any substantive liaison with each other in defence policy until 2009 when Helsinki and Stockholm opened a channel envisaging future cooperation. Against this backdrop, the steps taken in Finnish-Swedish defence cooperation are novel and unprecedented. The Final Report set significant targets, such as joint units, and the parties have already ended up in a situation whereby they rehearse territorial defence together.8 Finland was an active participant in the Aurora 17 exercise, sending 300 troops to the multinational event aimed at enhancing Sweden’s capability to defend its territory. Sweden, for its part, has participated twice in the annual exercise of the Finnish Air Force, which also exemplifies the intense cooperation between Helsinki and Stockholm. Against this backdrop, it seems that both nations are incrementally giving up the idea that they must defend their territory alone. The Finnish-Swedish axis is, however, only one tool in Helsinki’s kit. Additionally, Finland’s cooperation with the United States has recently advanced in leaps and bounds, which can almost be seen as a ground-breaking development given Finland’s post-World War II circumspection of collaborating with great powers. True enough, defence ties with the US are not entirely new; Finland has made major procurements from the US over the last few decades, most notably the F-18 fighters in 1992. The purchase marked the kick-off for more extensive cooperation on which current collaboration also builds. Russia’s actions in Ukraine also represented a catalyst for the Finnish-US relationship. US interests in Europe began to grow, and in 2014 it launched the European Reassurance Initiative (ERI), now known as the European Deterrence Initiative (EDI). Through the ERI, the US started to allocate resources for enhancing European security. The Trump administration has continued to pursue this line, and is, in fact, funnelling more resources into European defence than the Obama administration did. US activity towards Europe has affected Finland, and new opportunities have opened up for strengthening the bilateral relationship. As a result, in summer 2016, US troops practised in Finland with Finnish units, which also served to send a strategic signal of the deepened relationship. In the same year, in October, the parties signed a Statement of Intent (SOI) in which they set various objectives for cooperation, ranging from training and exercises to exchanging information and further developing interoperability. At the moment, cooperation is riding a tailwind, and joint exercises have also taken place in 2017. Notably, in 2018, the Finnish Air Force will take part in the Red Flag Alaska air combat exercise for the first time. The US and Finland have overlapping interests in the Baltic Sea region – a fact that often goes unmentioned at the political level. Nevertheless, the SOI did not conceal the common interest of the respective countries. For example, it stated that both nations “uphold the shared vision of a Europe free, whole, and at peace” and that Helsinki and Washington both recognize that US presence in and around the Baltic Sea undergirds stability in the area.9 Politically, Finland has moved closer to the US and recognizes the value of a US-led rule-based international and regional order. Moreover, interestingly, Finland, Sweden and the US are currently looking into options to cooperate on a trilateral basis. Given that Helsinki and Stockholm have mutual interests, trilateral cooperation with Washington could be fruitful, and is an avenue in which progress is likely to be made in the near future. US Defence Secretary James Mattis and his Finnish and Swedish counterparts – Jussi Niinistö and Peter Hultqvist – held a meeting in Helsinki in November 2017. The agenda focused on hybrid threats, which might hint at the area of tripartite cooperation but does not, however, supplant the bilateral tracks. Moreover, it is likely that the ministers will meet in a similar composition in the not-so-distant future. Once the ball has been set rolling, it is likely that the role of defence cooperation in Finnish security and defence policy will increase further. The multiple legal and facilitative agreements imply that Finland is ready to develop and intensify the existing forms of cooperation. This is the right policy course; it is essential – given the state of European security – that Finland demonstrates strategic resolve and strengthens its integration into the Western security community. The substance of the cooperation depends not only on Finland but also largely on NATO, the EU, the US and other partners. It is imperative that Finland proactively seeks new ways to deepen cooperation with different actors. Finnish policy-makers should thus be aware of the relevant trajectories emerging among the country’s partners. Arranging such an exercise would be a logical continuation of the existing policy line emphasizing cooperation. In fact, organizing the drill is imperative for the credibility of the Finnish defence policy line. If Finland wanted military assistance during a crisis, it would be wise to familiarize its partners with Finnish circumstances and methods, and to further enhance interoperability and mutual solidarity. Creating such bonds and conditions is vital, considering that Finland is unlikely to join NATO anytime soon, and hence, in the event of a rapidly evolving conflict, Finland would seek coalitions on an ad hoc basis. 1 EU’s mutual assistance clause (also known as mutual defence clause) however includes a reference to the special character of the security and defence policy of certain member states, which has been widely interpreted as offering certain protection to military non-alignment policies. 2 See e.g. Järvenpää, Pauli. Zapad-2013. A View From Helsinki. Jamestown Foundation: Washington DC. 3 Sepponen, Teemu & Rainne, Juha (2013), “Nato-yhteistyö tarvitsee uusia muotoja”. Ulkopolitiikka 3/2013. 4 Winnerstig, Mike (2017), “The Strategic Ramifications of the Aurora 17 Exercise in Sweden”. ICDS Blog, 2 October 2017. 5 “Sensibel für die eigenen Ängste”. Der Spiegel 15/2001; Juntunen, Tapio (2016), “Kun rotta hyppäsi häkistä ulos: muutoksesta ja jatkuvuudesta Suomen ulkopolitiikassa”. Kosmopolis 46: 3, pp. 70–78. 6 Prime Minister’s Office (2017), “Government’s defence report”. Prime Minister’s Office Publication 7/2017. Prime Minister’s Office: Helsinki. p. 16. 7 On the Joint Expeditionary Force and the Framework Nation Concept, see e.g. Saxi, Håkon Lunde (2017), “British and German Initiatives for Defence Cooperation: the Joint Expeditionary Force and the Framework Nations Concept. Defence Studies 17 (2), pp. 171–197. 8 “Aurora 2017 – To aid a brother”. Corporal Frisk. 22 September 2017. 9 Statement of Intent between the Department of Defense of the United States of America and the Ministry of Defense of the Republic of Finland. https://www.defmin.fi/files/3543/Statement_of_Intent.pdf, accessed 10 November 2017. 10 See e.g: “I maktens slutna rum får Sverige amerikanskt stöd”. Dagens Nyheter. 26 May 2017. 11 See e.g: “I maktens slutna rum får Sverige amerikanskt stöd”. Dagens Nyheter. 26 May 2017. 12 “Puolustusministeri Niinistö: Suomi on aloittanut kansainvälisen suursotaharjoituksen valmistelun”. MTV uutiset. 4 November 2017.